You're familiar with Jack Kirby's character Etrigan the Demon, yes? Perhaps not the most engaging or memorable of Jack's creations, but there's PLENTY of competition there. 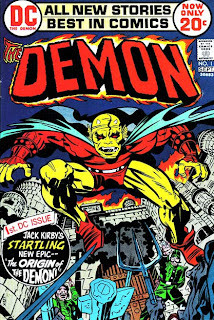 Slightly less well known is that Jack based the character design of Etrigan on some artwork from an old Prince Valiant story by Hal Foster. Comic Book Legends Revealed had a pretty good write-up of that a few years back. Even less well known, though, is that Foster's art isn't exactly original either. He based his duck-parts-as-a-demon-mask design on the Devil's Grandmother! Well, one person's interpretation of the Devil's Grandmother at any rate. 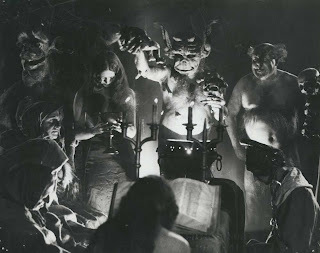 There was a Swedish film in 1922 called Häxan by Benjamin Christensen. It was basically a documentary on witches and witchcraft. The title, in fact, usually gets translated into English as The Witches. Christensen did a lot of research and, in addition to presenting facts and artwork from historical texts, he also spent a lot of money creating lavish re-creations that attempted to show how a woman might come to be accused as a witch and what her "trial" might be like. When the captured woman eventually does confess after being tortured, Christensen then proceeds to visually show the events she claims to describe including what amounts to a big witch party. 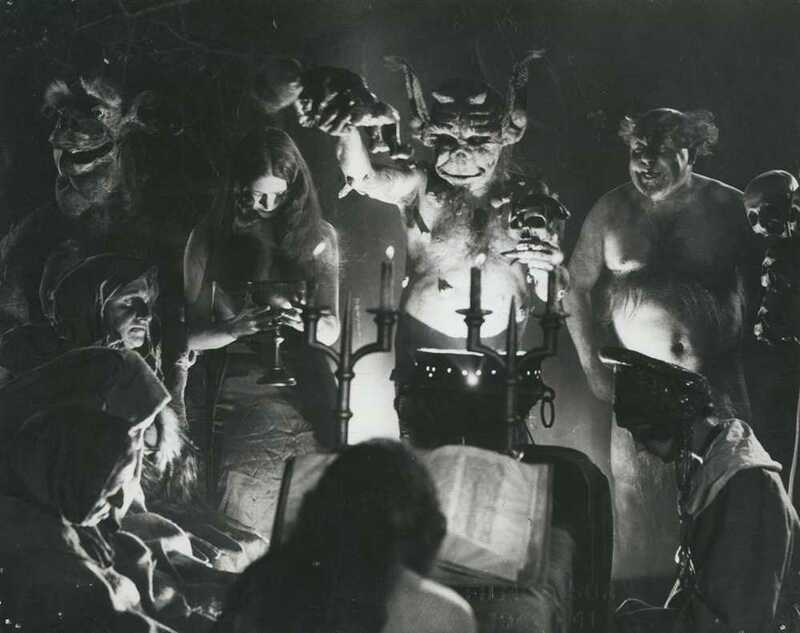 The Devil himself is there carousing with the witches, and the whole scene is watched over by the Devil's Grandmother herself. (Curiously, played by an uncredited male performer.) 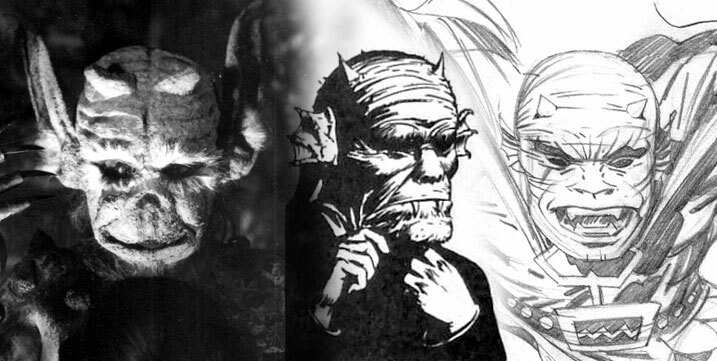 Take a look at the central figure here... Also, Häxan didn't get released in the US until 1929, the same year Foster started working on comics. The film, being from 1922, was silent and relied on intertitles to relay dialogue and some of the action, much like how Foster's own strips eschew dialogue balloons in favor of extended captions. I don't believe there's any hard evidence that Foster took his design from Christensen, but it's hard not to see the similarities. Many comic creators cited Foster as having a strong influence on them. What they might not have known is that he was also influenced by others as well!